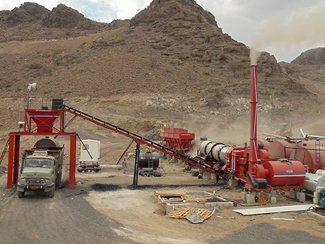 To offer the Asphalt Plant Components with ongoing requesting highlights at worldwide level, Vinayak street development types of gear have up reviewed all generation methods alongside whole conveniences. Our vigorous arrangement of apparatus is outlined with CAD displaying framework. For high accuracy in creation, we influence utilization of CNC to machine. So our whole arrangement of apparatus is worked with affirming M.O.R.T.H. detail. An ordeal of 10 years has enhanced our item quality and its execution. Mechanically most recent offices have likewise helped us most to influence our cost to list stable at a sensible level. We have outlined all models with the fluctuated limit run. We additionally give exact presences of custom arrangements. Our after deals support and exhortation is one reason for the prominence of our arrangement of apparatus. It includes Asphalt Drum Plant, Asphalt Drum Mixing Plant, Portable Asphalt Plant, Mobile Asphalt Drum Mix Plant, Bitumen Pressure Distributor, and Road Marking Machine. Our arrangement of street development types of equipment is likewise favored for its unwavering quality and effectiveness. 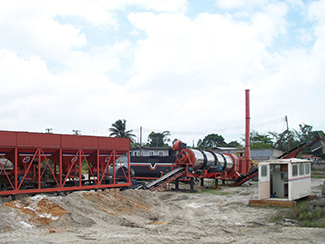 We are pleased to mention that we are having one of the best employees and professionals who is sincerely indulged to make this asphalt drum mix plants. 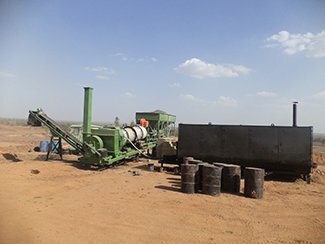 All of our professionals are keeping the strict eyes over the quality matters and all our employees are genuinely making the good ranges of the asphalt drum mix plant so that our customers can’t feel any trouble in the quality and functions of the machineries. All the professionals are well skilled and trained with the vast experience in this filed.